Mount Snow has taken a step away from winter sports and has developed an all-inclusive program that allows families to experience camp together. The slogan at Mount Snow Family Camp is to Unplug and Reconnect. In these busy, technology filled times, what better way could there be to do this than in the verdant Green Mountains of Vermont where the adventures of the day as well (as the meals), have been expertly designed for you? 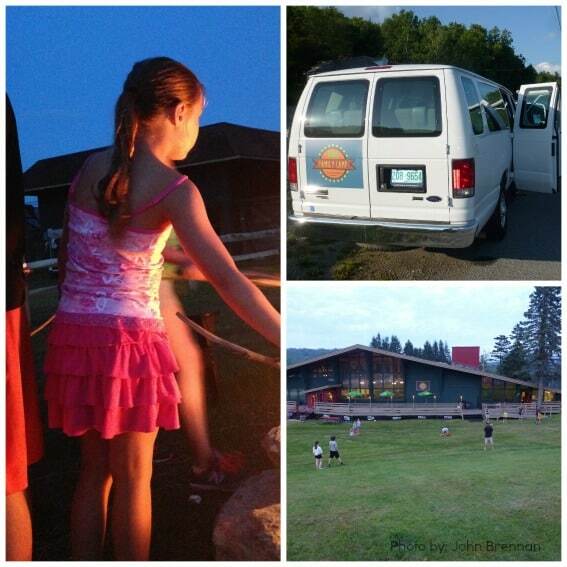 Complete with terrific camp counselors, fabulous chefs, and terrific off site excursions, Family Camp allowed our days to be complete from sunup to sundown which is just our style. We could choose to participate in whatever we wanted, yet never felt any pressure to participate. We did however sample everything they had to offer! 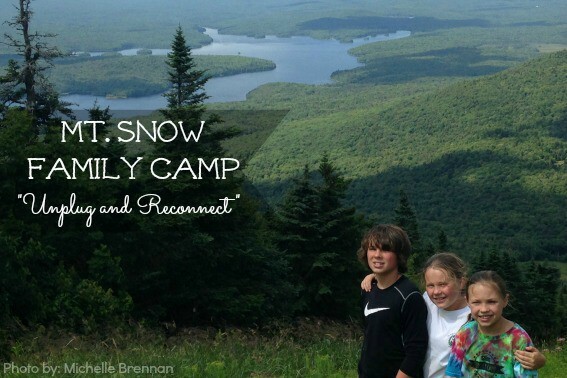 As a bonus to Trekaroo readers for 2015, Mount Snow Family Camp is offering a 15% discount at the time of booking to anyone who books Family Camp and mentions that they saw it on Trekaroo. The start of our week-long stay (consisting of a group of about 10 other families), began with a Sunday evening dinner. The kids were informally introduced with a game of Nukom, which is a catch and throw volleyball game. Ranging in ages from 3-15, the kids were immediately friends. Their respect and friendship for each other showed no age prejudice. Each of them was there to have fun. Parents were invited to join in, but I think we all intentionally decided that we should let this beautiful thing blossom without our intervention. I would be remiss to leave out the fact that the camp counselors were fully responsible for this interaction. Names were repeated and teams were switched up with the idea of everyone getting to learn about each other. It was masterful! The counselors were the backbone of this camp. They participated in the kids’ fun, they directed it, and they seemed to immerse themselves in it. The days that followed were similar. Each day had morning-only kids activities planned so adults could have a few hours to themselves. The kids were fitted with cross-country mountain bikes, which they could use all week. They hiked and created crafts. They designed Ping-Pong tournament brackets. They enjoyed every minute. On the last day my youngest told me she wanted to stay forever. Family camp is designed to give both parents and children some time apart each day. We felt comfortable leaving our brood with the counselors as they toured a frog pond or pedaled through the property. This left us open time to reconnect as a couple. 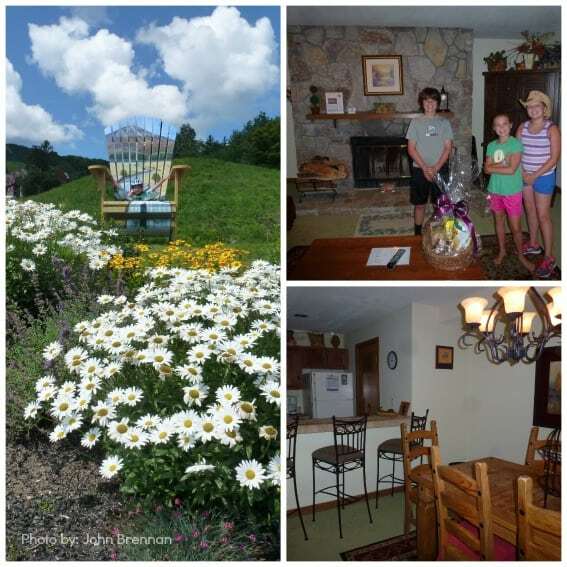 We were able to hike, mountain bike, or take in a treatment at the spa at the Summit Hotel at Mount Snow, which is within walking distance of the Family Camp main hub of Sundance Lodge. Mountain biking was definitely an adventure. This is not something I would have ever done on my own. As a nervous skier, I was particularly proud of myself being able to ride the lift and bike crouched down hanging on for dear life on the specialized mountain bike trails. However, I was able to progress to the point to be confident enough to take the kids down a few days later! If we were at a loss for what we should do the camp made sure there were options to choose from. Shopping in town, golf, yoga classes, and craft classes were all options on different days. Following the few hours of child-less freedom, we were reconnected at lunch to share our morning adventure. Time unplugged together is where Mount Snow has pulled out all the stops with some terrific excursions, which were all included as well. They know how to guide families into having some outdoor family fun. We had so much fun enjoying the excursion of the day. The lot of us piled into Family Camp buses so we didn’t even have to drive. For the kids, the drive was one of the highlights of their day. I could only imagine what went on in the kid-only buses, but I do know adults would require earplugs. They sang and danced in their seats (with seat belts, of course), while we adults chatted in the quiet van. We headed out a few days to the Harriman Reservoir, a large man-made lake nearby. This lake is picture perfect. The shores are devoid of development and the water is super clean. We were able to try tubing, jumping, kayaking, paddle boarding, and of course, swimming. Another day brought us to Ramblewild in Massachusetts. This aerial adventure course is top-notch and like nothing we had experienced before. We rode a snowboard from tree-to tree, a saddle across a ravine, and took a leap of faith, which required tremendous courage from yours truly. Every excursion was well thought out. Snacks and drinks were always on hand, as were towels, beach chairs, and extra activities for the kids like tattoos and tie-dying when they were done with their adventure. We parents didn’t have to remember anything. They even brought sunscreen and bug spray! Check out this video of our Mt. Snow Family Camp Experience! 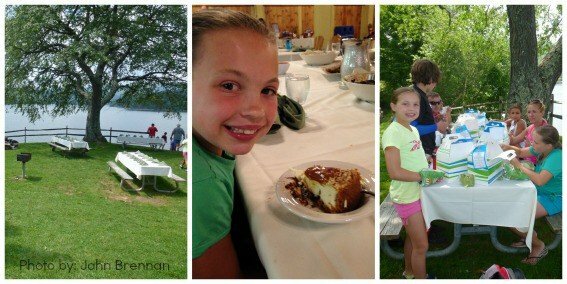 Three Vermont-fresh meals are included daily at camp. People familiar with Vermont know the emphasis that is placed on fresh, healthy, and tasty food in these parts. The Mount Snow chefs take this very seriously as well. Breakfast was served buffet-style with all of the usuals and typically a special treat each day. The crepes topped with local berries were a favorite. Brown bag lunches were served according to pre-chosen options the night before and dinner was a family-style affair with choices like salmon, chicken, pasta, and a scrumptious dessert. There was also usually an option for kids who might be a bit pickier when it comes to food. We were never hungry due to the plethora of food and always-available snacks and drinks at the camp hub of the Sundance lodge. Before dinner each day, camp counselors were again on hand to keep the children busy if the adults wanted some downtime. We really enjoyed a fabulous wine and cheese tasting with Chef David Gregiore while the kids played volleyball. On our last night we were treated to a talent show presented by the youth in the group. What a treat to see them perform with each other for the counselors and parents. We even got to enjoy a slide show with some video clips of our adventures of the week. Now we know what went on in the kid-only van! After dinner each night the families stayed at the lodge area to play games outside, roast some marshmallows around the nightly fire, or enjoy some conversation. The adults made new friends too! 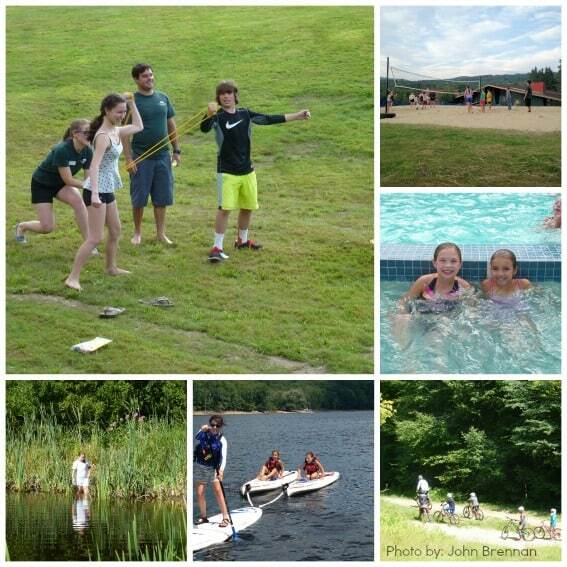 While images of camp may bring to mind rustic cabins and bugs, Mount Snow Family Camp has none of that! Our accommodations were roomy condo units within walking distance to the camp hub. We stayed in a 2-bedroom, modernly furnished unit with 2 baths, a kitchen, dining room, televisions, and in-unit laundry. We couldn’t have been more comfortable sleeping with the windows open and enjoying the fresh Green Mountain air. The condo complex also has 2 pools (one indoor, one outdoor), tennis and basketball courts, and indoor games at the complex. As camp guests, we were also welcome to use the facilities at the more luxurious Summit Lodge. The outdoor pools and hot tub there were very relaxing. 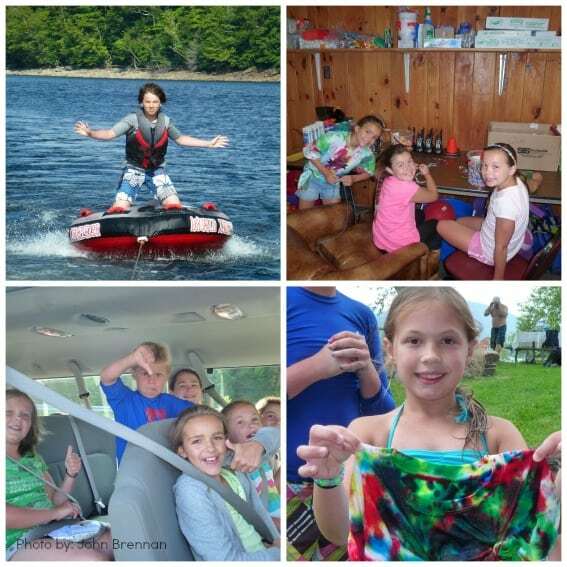 Mount Snow Family Camp is a special place where family connection takes precedence. It is a place where family bonds are strengthened and new friendships are made. It is a place where the needs of children are taken seriously and a place where adults can have some down time. It is a place we will remember fondly for the commitment to family time and hope to visit again someday soon. Disclosure: My family and I were provided a complimentary stay at Mount Snow Family Camp. However, all opinions are my own and I was not required to provide any specific opinion. We’d love to hear from you. What would you enjoy about a family camp? Have you had an unplugged vacation? 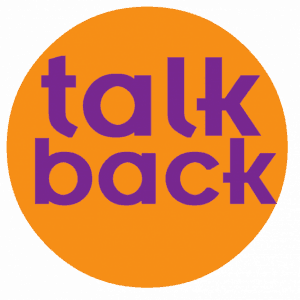 What did you love about time away from technology? Tell us in the comments. My family and I were at Mt Snow Family Camp the first week of August 2015. On a scale of 1-10, I would give this place a 100! Everything was absolutely fantastic. It was just right mix of activities and relaxation. When my wife and I wanted to sit back and relax on the deck overlooking the beautiful mountain, or take a chair lift ride to the restaurant at the Summit for a drink, the counsellors were there to entertain our 14 and 11 year old sons with an endless supply of games, hikes, and bike rides. The counsellors were fantastic. There were kids ranging from ages 2 to 14, and the counsellors were able to connect with all of them. 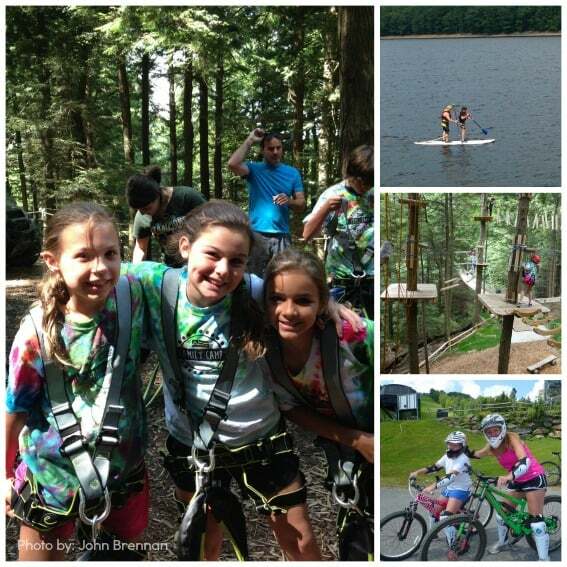 Family activities included bike rides, down hill mountain biking, a day swimming at the lake, pontoon boat rides with tubing/boogie boards, kayaks, stand up paddle boards, and so much more. One afternoon the Mt Snow chef did a beer and cheese sampling for the adults while the counsellors entertained the kids. The presentation was excellent, and we all learned a lot about different cheese and beer types, as well as the brewing process. Speaking of the chef, all the meals were delicious particularly the chicken and salmon on the last day. The chef managed to keep a group of 25 adults and children happy and well fed, which is not an easy task. There is so much more I could mention, but I think what sets this place apart from the rest is the staff’s goal to make sure everyone is having a fun and that everyone has everything they need. 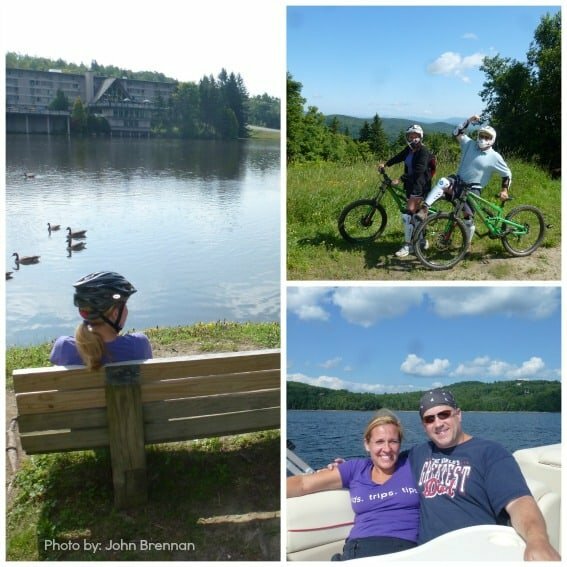 I would sum it all up by saying this…..If you’re looking for a family vacation with lots of quality family time loaded with fun activities, as well as some quiet time for mom and dad to kick back and relax, Mt Snow Family Camp is the place for you.